Hi there! 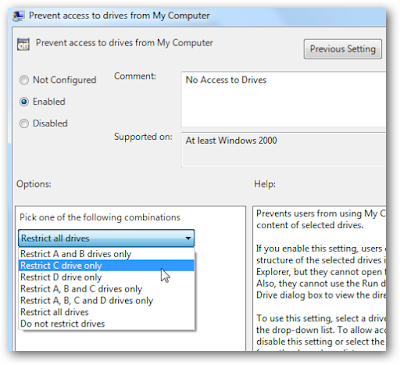 This tutorial will help you to lock your local disk C drive which contains all systems files without using any software. 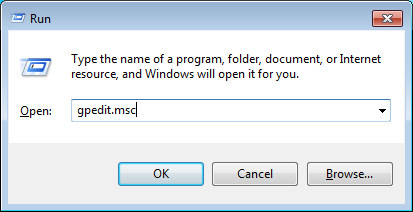 Just the built in gpedit or the Group Policy Editor found in your windows 7 PC. I've been using this technique in my pisonet business to avoid tampering on the files located on the drive C. A message box will pop up once you click on the drive C on windows explorer like on the image below. So here are the steps to do so. 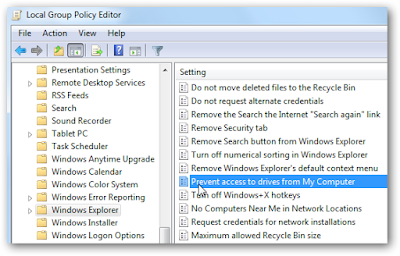 Search for gpedit or Group Policy Editor in your computer. Type gpedit.msc. 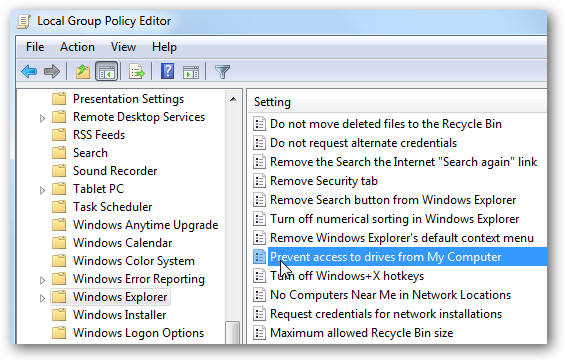 The Group Policy Editor will pop out like on the image above. 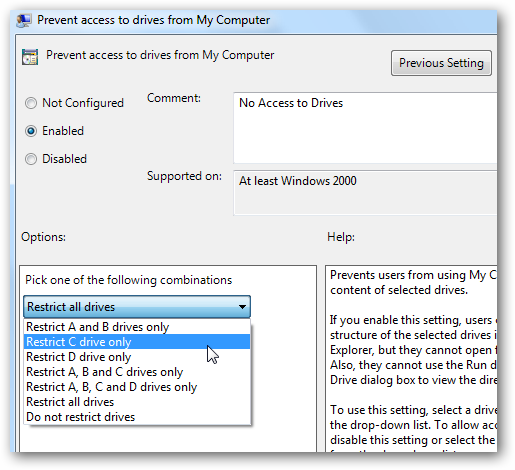 Select User Configuration then Administrative Template then click on the Windows Components and on the right side of the window, look for the Prevent Access on Drives. Next is to select enabled from the options in radio button and choose the drive you want to disable access from the dropdown box. Click apply and your done!!! This works for me. Hope this works for you too! Goodluck!